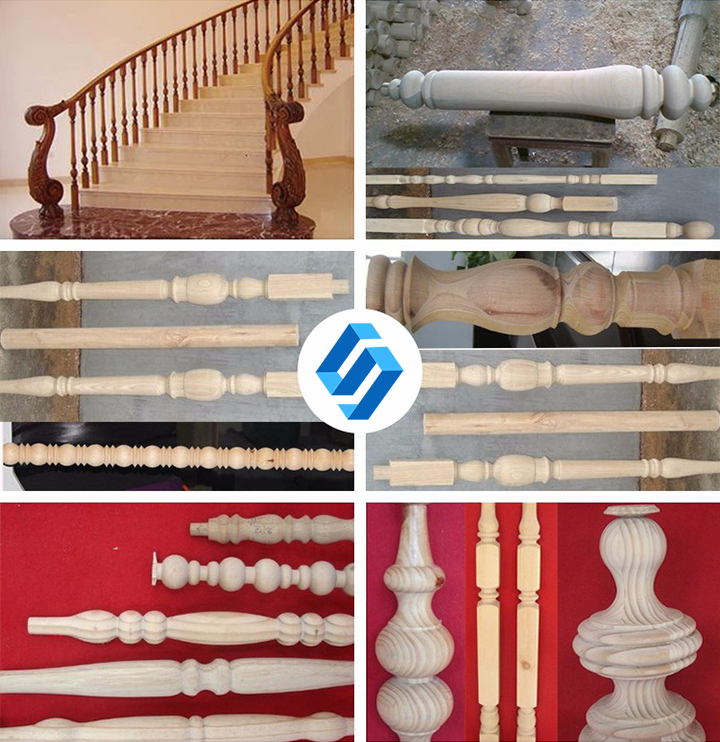 The best CNC wood turning lathe machine is mainly designed for wood crafts, staircase columns, roman columns, table or chair legs, baseball bats, car wooden furnitures, children's bed columns, etc. Now the best wood lathe for sale with affordable price. 1. Driving system:Adopt frequency conversion speed regulation system, could adjust the turning speed at any time to solve the problem of materials’ vibration. 2. 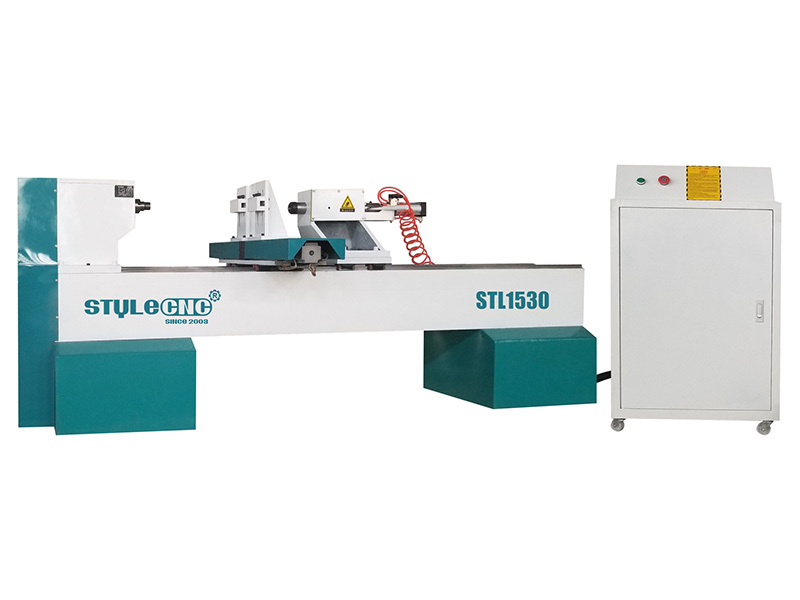 The best Wood lathe machine has 2 cutters (The Rough turning cutter and finish turning cutter work synchronously with layered process) and so that improve the efficiency and workpiece surface quality. 3. 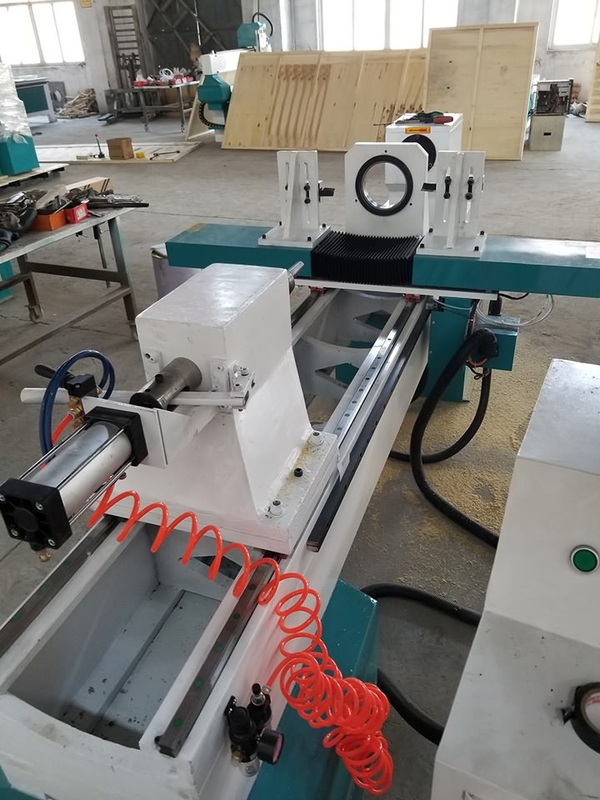 The best wood lathe spindle: we could configure single spindle with two pcs cutter or one pc cutter, single spindle could configure chuck, two cutters could do rough turning and finish turning at the same time for high efficiency and surface quality. 4. Linear square rails,ballscrews,and some electronic components are imported, high precision and durable. 5. Performance part: high accuracy stepper motor, after program calculating, guarantee the exact processing size. 6. Feeding part:Taiwan CSK high quality straight line sliding rails and TBI precise ball screw, control the linear error effectively. 8. The best wood lathe is heavy duty and heavy weight with good stability, avoid shaking when the spindle rotates fast or the big sizes workpiece process, and the main spindle speed can be adjusted through the frequency converter. 9. Easy operation, we can draw by Coredraw, Artcam, autoCAD and other softwares, and the control directly by the CNC cabinet computer (Industrial PC configuration) ortransfer the files to machine by a USB (DSP handle configuration). 1. CNC Wood turning lathe machine is welded with seamless steel structure, which is high temperature annealing and vibrating stress relief, so the lathe body is stabilized and will not be deformed forever. 2. Adopt frequency conversion speed regulation system, could adjust the turning speed at any time to solve the problem of materials’ vibration. 3. 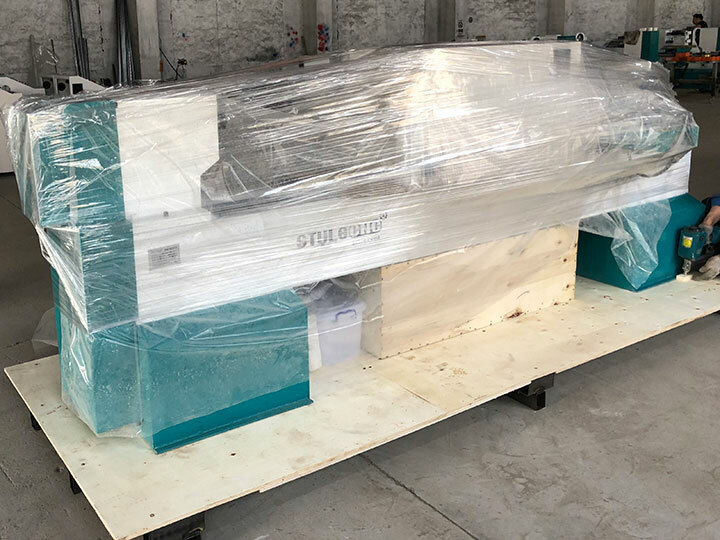 We could configure single spindle with two pcs cutter or one pc cutter, single spindle could configure chuck, two cutters could do rough turning and finish turning at the same time for high efficiency and surface quality. 4. High accuracy stepper motor, after program calculating, guarantee the exact processing size. 5. Taiwan Hiwin square rails and TBI precise ball screw, control the linear error effectively. 6. Easy operation, we can draw by autoCAD and other softwares, transfer the files to machine by a USB. 7. One time tool setting to finish the whole work piece. 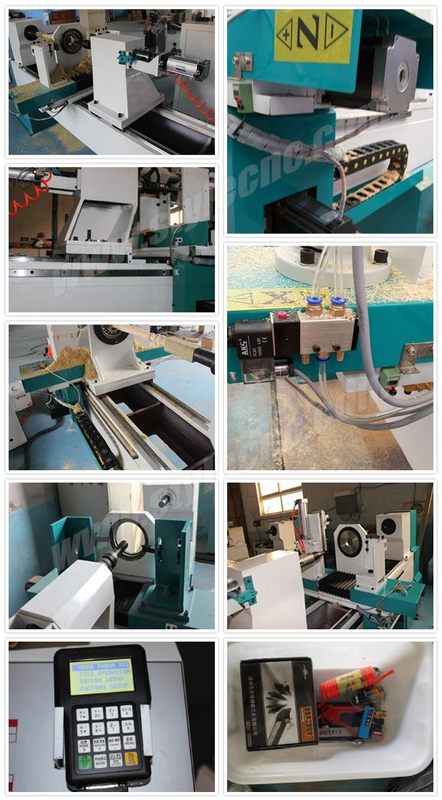 CNC wood turning lathe machine is suitable for various cylindrical workpiece, roman columns, bowl sharps, table or chair legs, general columns, children' s bed columns, washstand, wooden vase, staircase columns, wooden table, tubular sharp and vehicle wood crafts, baseball bats, car wooden furnitures, etc. 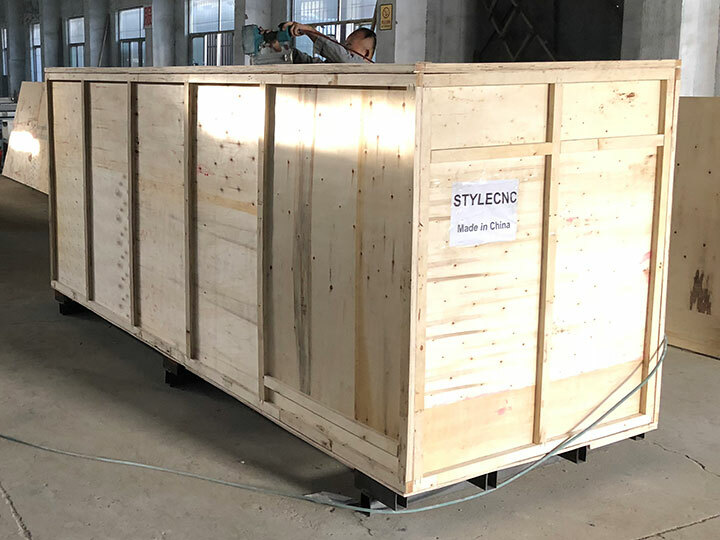 License: The text of "Best CNC wood turning lathe machine for wood crafts" by STYLECNC is licensed under a Creative Commons Attribution 4.0 International License.